In it she talks about lightworkers experiencing the desire body of all Earth, rather than personal desires. We are the planet! Mastery of multidimensionality, she says, means mastery of every thought we have, every emotion we experience. The ‘desire body’ mentioned by Dr. Lie can be equated to the lower triangle of yoga. This desire body has to do with the lower three chakras, oldstyle, which deal with survival, creativity and procreation, and will power. Dr. Lie is saying that one’s own lower triangle can be expanded to include everyone on Earth. Which is to say, to include the desire for survival, the desire to procreate, and the desire to exert one’s will, of all the people on Earth, both those in physical form and those on the astral planes of matter … the hellworlds, purgatory worlds, and heavenworlds of the afterlife experience (which might better be phrased the ‘between-life’ experience of the Soul). We are, in point of fact, always experiencing the desire body of everyone on Earth, for our lower three chakras, located as they are in the area of the colon, carry the energy of the unconscious mind, the ‘gut brain’, the involuntary nervous system. This unconscious energy circulates through Gaia as the Unconscious Thought Cloud of the World. In other words, our lower three chakras swim in an unconscious stream of energy that circulates worldwide. They are that. Yet we think they are our own desires, or at the outside edge of our awareness, we may dip into the causal realm, by way of projective blame, and judge that our desires are the product of another person’s machiavellian voisting upon us of their own desire. Both these notions are false. We are not our desires. Our desires are reverberations of the collective unconscious here on Earth. No one else is our desires either; no other person makes us have them. Rather, we experience, in our desire body, the desires of everyone everywhere. Ego masks the issue with the notion ‘I want’ … ‘I love’ … ‘I need’. The issue is, how can we awaken to the true nature of desire? How may we awaken to the understanding that we are already experiencing the desire body of all people on Earth? Image: Chakras, showing funnels: http://wordpress.wellspringreiki.com/wp-content/uploads/2013/05/chakrasdrawing2.jpg ..
You know how most of the chakras have a forward aspect or funnel, for interaction with the world, as well as a backward funnel extending out the back of the body? Then between these two aspects is a point of light that is the ‘null point’… where time and space touch the Infinite. I have a hunch this null point is where the consciousness of each chakra in the ‘desire body’ (i.e., ‘lower triangle’) can expand to encompass the whole world. And, for that matter, the galaxy, this Universe, all Universes, and all alternate Universes. For each of chakras 1 through 3, I’m going to sit quietly, notice where my energy is … and this is typically forward, in ‘interact with the world’ mode. Then I’m going to place my awareness at the same anatomical level, but close to the front of the spine. That should get me to the null point. I’ll know I’ve got the right spot if I feel a flood of energy from that chakra. The ‘Lower Triangle’ of yoga comprises chakras 1 through 3, which is to say, the root chakra (basal chakra), the sacral (sexual) chakra, and the navel point. The ‘vital body’ of Sri Aurobindo and Integral Yoga comprises chakra 4 (the heart chakra), chakra 3 (the navel point, or third chakra old style), and another center located between the navel point and the sexual (second) chakra. The root (basal) chakra, which relates to survival and safety, is a special case, in that it has no ‘front’ and ‘back’ funnels. Instead, the root chakra itself … the red star in the above image … is the ‘lower’ funnel of this chakra, and the crown chakra … the violet circle at the top of the above image … is its ‘upper’ funnel. What connects these two funnels is the kundalini energy which ripples up and down the spine. Thus, a more proper name for the double energy vortex would be the ‘kundalini chakra’, whose null point is the heart chakra. There is the outline of a man, standing facing to the right, in profile view. There are four funnel shapes in the image: a red funnel whose base points downward and whose tip is at the base of the body’s trunk; a violet funnel whose base points upward and whose tip is an inch or two inside the top of the man’s head’ and two green funnels turned on their sides and connected at their tips at heart level, inside the body of the man. The bases of the green funnels extrude from the front of the man’s chest and from his back at the level of the heart. The two heart funnels form the arms of a cross, and a vertical line connecting the red and violet funnels forms the shaft of the cross. The two green funnels represent the front and back vortices of the heart chakra; the red funnel represents the basal chakra; the violet funnel, the crown chakra; and the line connecting the bred funnel to the violet funnel represents the Pranic Column (the Central Vertical Power Current, or Kundalini). The Christian baptismal sylph is a living being of white flame, shaped like a fiery cross. It comes vividly to life when we feel devotion, whether through reading Scriptures, through singing hymns, or through helping other people. The sylph itself stays with us all our lives, helping us feel our heart chakras. 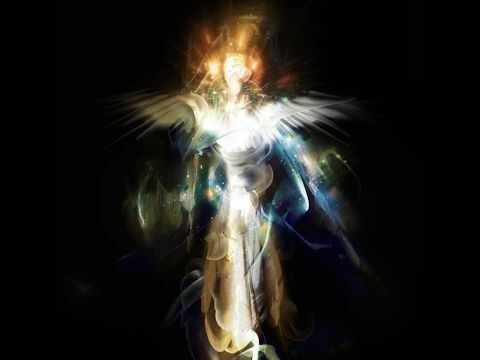 In time, through such service, it awakens to a higher state of being in the Devic Kingdom and is then know as a Seraph. You may have run across the term ‘Seraphim’ in the Bible … this is the plural of the word ‘Seraph’, the being which the young Sylph is destined to become, just as we Christians are destined to be born again in Christ Consciousness. The time of our new awakening in Christ is right now, during this, the Awakening of Planet Earth. For more on the baptismal sylph, see … Link: “Compendium: Baptismal Sylph,” by Alice B. Clagett, published on 25 February 2019 … https://wp.me/p2Rkym-bNu .. Placing awareness on the coccyx stills this reactivity. This entry was posted in 02 – Etheric body / vital body / pranic body, 1st chakra - root chakra - basal chakra, 2nd chakra - sexual chakra - sacral chakra, 3rd chakra - navel point, 4th chakra - heart chakra, 7th chakra - crown chakra, Chakras, Devas - nature spirits - nature elementals, Drawings by Alice, Ego - higher self, Heart energies, Karma - incarnations - causal reality, Kundalini (see also 'Plane of Forces'), Locks - bandhas, Lower triangle, Unconscious thought cloud of the world - noosphere, Yoga and tagged awakening kundalini, basal chakra, Chakras, chakric funnels, collective unconscious, desire body, Drawings by Alice, ego, fears, Gaia, gut brain, heart center, involuntary nervous system, karma, Kundalini (see also 'Plane of Forces'), Lower triangle, navel point, root chakra, root lock, sacral chakra, sign of the cross, unconscious thought cloud of the world, Vital body on 20 December 2016 by Alice B. Clagett. First Technique: You are free! Go where you will! Here are offered the Christian Sign of the Cross and some tentative wording to help free people from demons that have been bound to them by black magickers. After the video there is a Summary. Text in green font is not in the video. Hello, Dear Ones. I’ve been working with Christian spells to free people from demons that have been bound to them … which is a very un-Christian thing to do. So I’m using Christian prayer technology to counteract that innately evil action. Speaking from myself to the demons, I said: You are free! Go where you will! And they all went off, in a flap and a flurry … And back to the person that had done the work. And I could hear her, carrying on, and like that, on the astral plane. And that was the end of it. They never tried to do that again. To the one that sent you here. Until they repent and forgive. May you be freed of these evil influences and these wicked deeds. And your heart to the grace of God’s love. Video: “How to Make the Sign of the Cross,” by LiverCatholicToday, 5 June 2013, https://www.youtube.com/watch?v=sGiw5j7ODqU .. I suggest using the Sign of the Cross, once or several times, using the open hand technique pictured above and labeled “Blessing Someone Using the sign of the Cross” 1-5. I like this one very much, especially the Latin version, which tags and tames the Unconscious Thought Cloud of the World through rhyme, strong emotion, and visual effect. Note the importance of speaking with confidence and determination, from the navel point, which represents the will power. Link: “Prayer Exorcism of Saint Benedict (Exorcism and the Cross of Eternal Salvation),” by Marcelo Lago, 13 October 2012, https://www.youtube.com/watch?v=2n-yvMk-ICQ ..
LInk: “Olive Wood St Benedict One Inch Medal on a Leather Cord,” by WJH Co., at Amazon,, https://www.amazon.com/Olive-Wood-Benedict-Medal-Leather/dp/B0175CUEJC/ref=sr_1_10?ie=UTF8&qid=1526421538&sr=8-10&keywords=WJH+Co. ..
Link: “Large St Benedict 3 Inch Medallion Medal Olive Wood Handmade in Italy on a Leather Cord,” by WJH Co., at Amazon, https://www.amazon.com/dp/B017ZF7JU6/ref=sspa_dk_detail_4?psc=1&pd_rd_i=B017ZF7JU6&pd_rd_wg=HjqGU&pd_rd_r=M5MA95AQV9TQKZZBMPQN&pd_rd_w=r1bCD .. The letters are the first letters of the Latin phrases, so they act as a mnemonic device, to help remembers the Latin words of the prayer. The necklace is a bit pricey, but I’ve found it to be very durable. Link: “Light Brown St Benedict Bracelet,” at Osmun Gifts, http://www.osmungifts.com/light-brown-saint-benedict-bracelet/ ..
Of course, one might simply print out the prayer (see above) and carry it in a pocket; that would be the least expensive way, and quite as good as any other. Link: “The Saint Benedict Medal,” at Devotion to Our Lady, http://devotiontoourlady.com/st-benedict-medal.html .. This entry was posted in Christianity, Obsession - possession - entity attachment - exorcism, Prayers - blessings - mantras - affirmations - white magic, Saint Benedict of Nursia, Satan - Satanism, Unconscious thought cloud of the world - noosphere and tagged Ascension, blessings, Catholicism, Christianity, Crux Sacra, Crux sacra sit mihi lux, demon realm, demons, duality, entity attachment, exorcism, obsession, possession, Prayer of Saint Benedict, prayers, Saint Benedict, Satan - Satanism, sign of the cross, transformation, unconscious thought cloud of the world, vade retro satana, will power on 11 April 2016 by Alice B. Clagett.